Welcome to Romano Winery from the Romano Vineyard & Winery website. Originally an apiary and local honey farm, Golden Leaf Farm has transformed into a family-operated vineyard that currently produces five varietals – Chambourcin, Barbera, Vidal, Cayuga and Traminette. 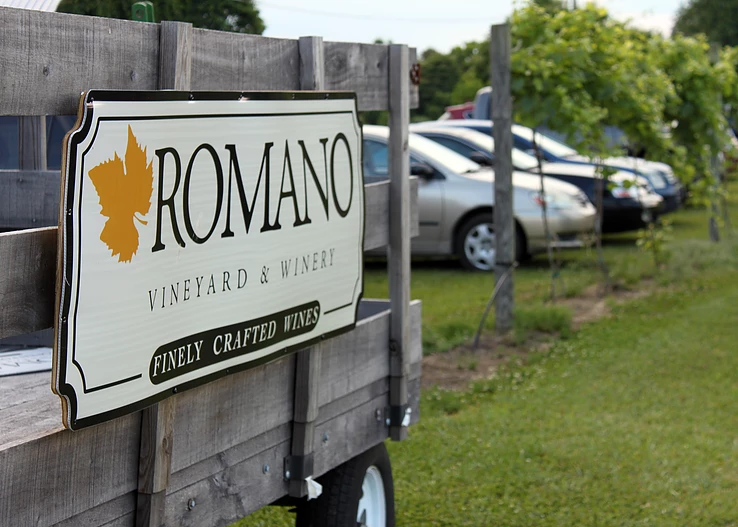 Located in Prince George’s County, Romano Vineyard & Winery focuses on the quality of their grapes and the quality of their wines. The family’s interest in growing grapes was piqued in 2006 after seeing advertisements suggesting Maryland farmers consider growing grapes on their land. In 2007, after visiting several Maryland wineries and vineyards, Joseph and Jo-Ann Romano worked with their daughters Tiffany and Tarah set out to convert their farm into a vineyard. 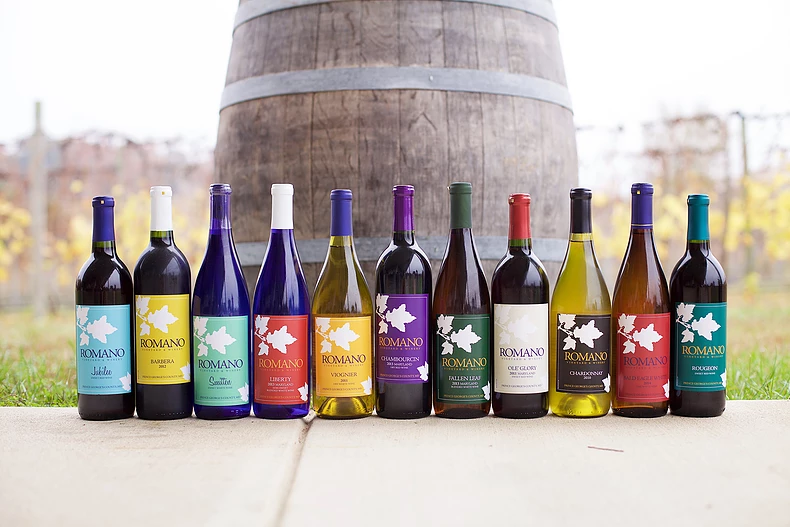 In June, 2018 Fallen Leaf Blended White Wine from Romano Vineyard & Winery split the “Best in Class” award with Chaptico Rosé 2017 from Port of Leonardtown Winery for best Off-Dry Wine in the Maryland Comptroller’s Cup Competition. 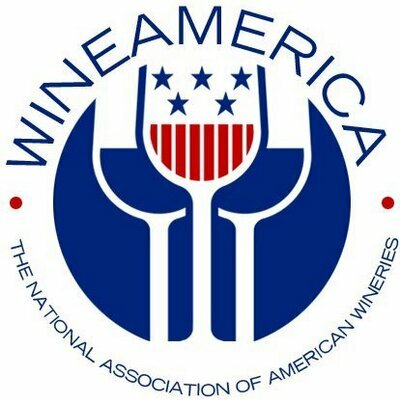 In honor of National White Wine Day on Saturday, August 4, we reached out Jo-Ann Romano to discuss Fallen Leaf Blended White Wine and what it is like operating a winery in Prince George’s County. A selection of Romano Winery wines from Romano Vineyard & Winery website. What is notable about the Fallen Leaf blend? Fallen Leaf is one of our flagship wines. We have produced Fallen Leaf since opening in 2011. The name gives reference to tobacco, which was once the heart of the county’s agriculture community. This semi-dry and elegant fruit forward blend is refreshingly well balanced. What are the benefits of being located in Prince George’s County? The County is the gateway to Southern Maryland and located close to the Nation’s Capital. We are located in the rural tier of the County – this has been a vibrant agriculture community for generations. There is a lot of support from the community and County representatives. Our proximity to Washington, DC, and Northern Virginia makes it easy (for tourists) to plan a day trip. Do your customers’ purchasing habits indicate any specific trends between red and white wines? We find both our red and white wines to be equally popular. Romano Vineyard & Winery was the first winery on the Legacy Wine Trail to open. What was that experience like? Being the first winery in the County presented some challenges which were overcome with the support of our community and working closely with County representatives, Maryland National Capital Park and Planning, and Prince George’s County Economic Development Corporation. How was the idea of the Legacy Wine Trail initiated? We welcomed the addition of 3 additional wineries over the past year and a half. The trail was established when the other 3 wineries joined us. We collectively came up with the name Legacy. The interview in this article was conducted by Charlotte Gardiner, staff intern.